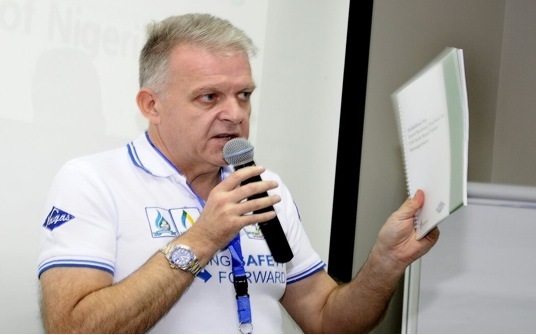 NAVGAS as a follow-up to the successful implementation of the Emergency Shut off Valves as a critical non-negotiable safety item for LPG trucks in Nigeria, organized their Annual stakeholders safety meeting ‘DRIVING SAFETY FORWARD’ at The George Hotel, Ikoyi. 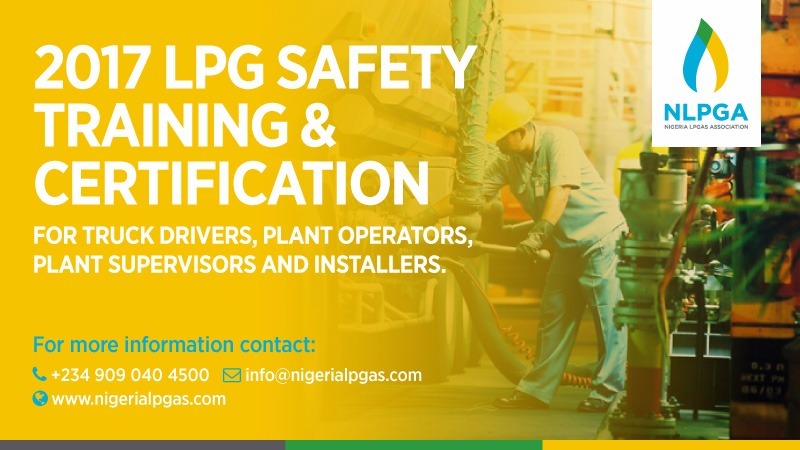 The 2017 NLPGA Safety & Certification training program for LPG truck drivers, LPG Plant Operators, LPG Plant Supervisors and LPG Installers will kick off in March 2017 at the following locations - Lagos, Abuja, Kano, Onitsha, Calabar and Onitsha. 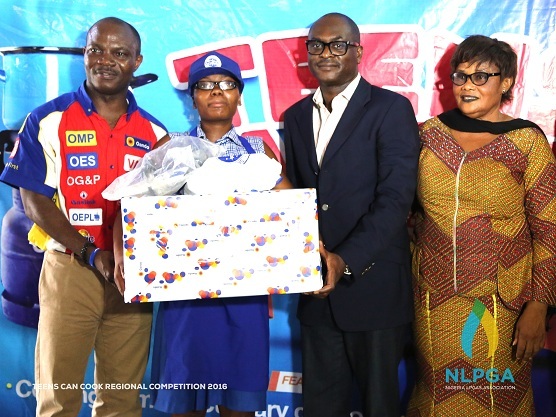 It was a time to relax, get educated and interact as NLPGA supported the Oando “teens can cook” event which took place at queen’s college Yaba. 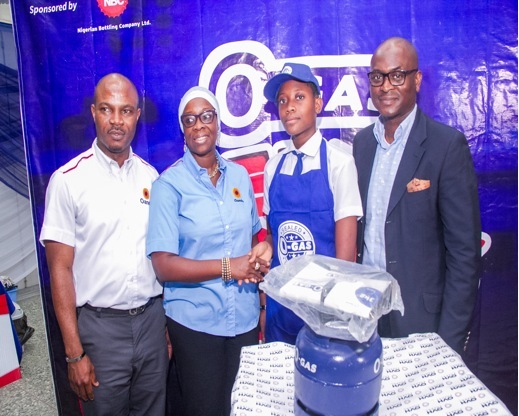 General Electric's conference on Liquefied Petroleum Gas was held in Abuja on the 8th and 9th of June. It had as its focus the exploration of LPG as a viable option for power generation. Centre for Management Technology is having an African LPG Trade Summit on the 7th – 9th May 2014. The 3rd NLPGA Annual Conference was held on Thursday 28th November 2013 at the Oriental Hotel Lagos. 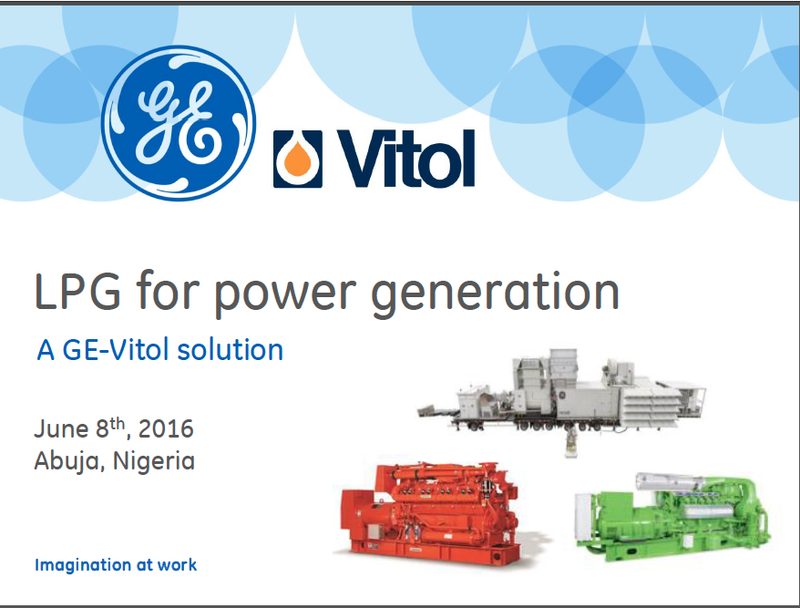 The theme of the Conference was LPG – The Exceptional Fuel. 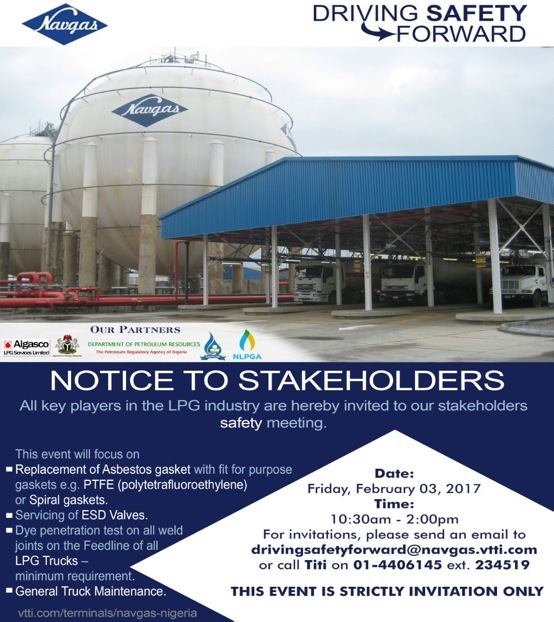 The Nigeria LP Gas Association held its 1st Annual Conference on Thursday 10th November, 2011 at the Civic Centre, Victoria Island, Lagos. The event was well attended.